Sitron’s Conductive Level Switches control the level of conductive liquids. With no moving parts, the probes do not require constant maintenance and are extremely reliable as well as highly configurable for specific application requirements. The CN series features relays built into housing, whereas the EL series requires separate panel mounted relays to control the process. 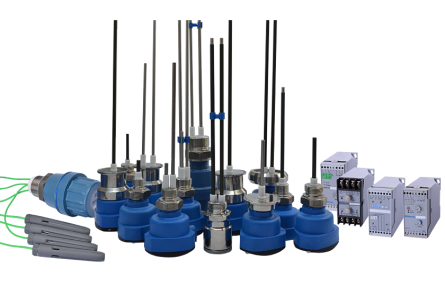 Both the CN and EL series are available in fixed rods, removable rods or pendular electrodes (housed in a submersible polyurethane probe). Like all of Sitron’s products, the CN and EL series are configurable to accommodate unique process control requirements. Offered in either glass-filled nylon, aluminum or 316SS housings, all models can be ordered with a great variety of threaded, flange, or sanitary process connections as well as Halar or other coating materials.